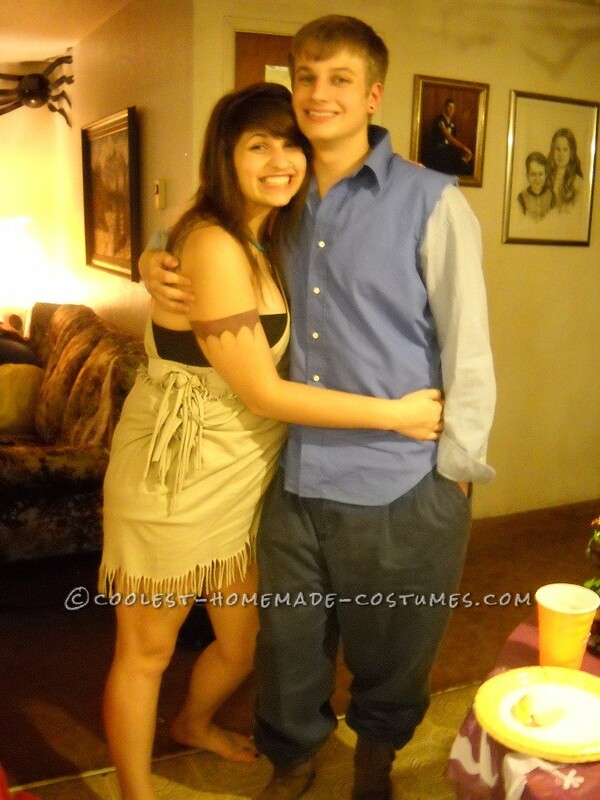 For the Pocahontas costume, I took a large men’s T-shirt and cut fringes into the bottom and one sleeve off the side. For John Smith, we just bought large blue slacks, a light blue button-up, and a slightly darker blue button-up to put over the top with no sleeves. 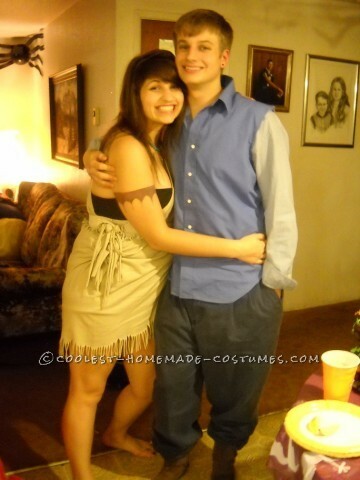 Homemade costume idea posted by Marlie M.